Jochen Hemmleb: What Happened to Mallory & Irvine? Mallory and Irvine left Camp VI on the morning of June 8, 1924, for the summit. When? In a last note to photographer John Noel, sent down by porters the previous evening, Mallory wrote of his intention to "start early". None of the climbers from the pre-war Everest expeditions ever managed to leave Camp VI earlier than 5.40 a.m. With one exception (in 1938) none of the climbers used oxygen and would therefore have been more prone to the effects of altitude and cold. Mallory and Irvine, however, did use oxygen. © RGS/The Sandy Irvine Trust, from "Ghosts of Everest"
Noel Odell later found at Camp VI oxygen cylinders as well as parts of the oxygen apparatus and pack frames. Inside the tent he found magnesium flares, and the 1933 expedition discovered a candle lantern and electric torch. From these clues it was assumed that Mallory and Irvine had been delayed by repair work on the unreliable oxygen sets. They set out when it was already daylight and thus could leave behind all their light sources. However, the parts of the oxygen gear could also hint at the usage of oxygen for sleeping (after Finch's example of 1922). For this, they would have removed the cylinders and regulators from the bulky pack frames. Moreover, there is no evidence that the light sources left behind at Camp VI were the only ones they had. At this point, the available clues hint at a start no sooner than sunrise, i.e. 5 a.m. As it hadn't been unduly cold on the morning of June 8, 1924, and the climbers had used oxygen, a start no later than sunrise seems equally possible. From the last documented conversation between expedition leader, Edward Norton, and Mallory (The Fight for Everest, footnote to p. 116), it appears that Mallory had planned a full-scale assault with oxygen. By calculating the provisions already at the high camps, he saved porter capacity for carrying oxygen cylinders. And by not using much oxygen for the ascent to Camp VI, he saved as many bottles as possible for summit day. A note found with Mallory's body listed six oxygen cylinders in the porters' load. The last image of the climbers leaving the North Col shows Irvine carrying two and Mallory at least one cylinder. In his last note to Odell, Mallory wrote he had used only "90 atmospheres" (or ¾ of a bottle) of oxygen for the ascent to Camp VI. Assuming Irvine had used the same amount, this would have left the climbers with at least seven full bottles prior to the summit day - sufficient for an attempt with the maximum supply of three bottles per person. Up to this point, everything went according to Mallory's plan. But the usage of little oxygen and the flawless ascnet to Camp VI could have raised the idea in Mallory to attempt the summit with a lighter load - "We will proably go on two cylinders", he wrote to Odell. The decision faced that evening was a crucial one: Would the advantage of more oxygen weigh against the "bloody load" of the gear? A set would have been 28 lbs. with three cylinders, 20 lbs. with two. We know at this point how many ottles Mallory and Irvine probably took (2), and how many they could have taken (3). With regard to the route to the summit, Mallory had kept his options open when he wrote to John Noel that they would be "either crossing the rock band under the pyramid or going up skyline by 8 a.m."
The mitten found in 2001 at the exit from the Yellow Band seems to indicate that Mallory and Irvine had used a similar route to the ridge as modern expeditions. From there they followed the crest to a point some 200 meters before the First Step, where they discarded the first of their spent oxygen cylinders. It shows that Mallory and Irvine took between 4 and 6 hours (depending on flow rate, and assuming continuous use of oxygen) to cover the distance between Camp VI (26,700 ft.) and this point (27,800 ft.), a climbing rate of 60-80 m per hour. This also indicates that thir oxygen sets were functioning, and that they were making good progress. If they had left Camp VI around 5 a.m., they could have been "going up skyline", i.e. reaching the crest of the ridge, by 8.30 a.m., only slightly later than Mallory's calculatons from the previous evening had estimated. To this day, the oxygen bottle is the highest trace ever found of Mallory and Irvine. It indicates the least altitude the pair had reached. The only clue to their progress upwards from this point is Odell's controversial last sighting at 12.50 p.m.
Odell was always certain that he had seen two moving figures, and he forcefully denied any suggestions that he had hallucinated or been deceived by an optical illusion. What he described - the climbing of a significant rock step in the ridge - must have taken at least 10 minutes, in which he would have realised if he'd been deceived somehow. We can reasonably assume that Odell did indeed see Mallory and Irvine, climbing one of the three rock steps of the upper Northeast Ridge. For the First Step speaks that the Second Step was apparently unclimbable in 1924. Against it speaks Odell's description of the climbers appearing at the top of the step, which is not true for any routes surmounting or bypassing the First Step. 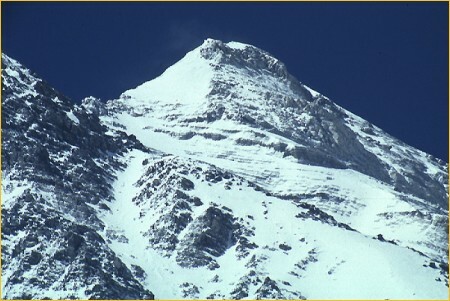 The time of his sighting, 12.50 p.m., seems very late for the First Step, but might be plausible if the climbers had made a late departure (7 a.m.) from Camp VI. For the Second Step speaks the time of the sighting. Against it speaks that Odell doesn't describe any belay of support between the climbers, as would be expected on a pitch of such severe difficulty - even if Mallory and Irvine were able to climb it. Also, the climbers would have been difficult to spot, because the snow patch on the Second Step is comparatively small and in the shadows for most of the day. Curiously, the Third Step matches Odell's description in almost any aspects: a snow slope or -crest beneath, a short rock pitch of moderate difficulty (so it could be climbed "with alacrity", as Odell once described it), and a route over the top of the step if it is tackled head-on. 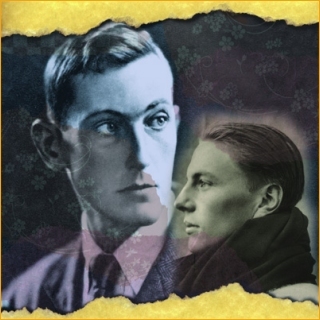 Against it speaks the fact that Mallory and Irvine would have to have made a very early start (4 a.m.) to reach the Third Step by 12.50 p.m., which in turn would only have been possible by using a third oxygen cylinder. Only by using a third oxygen bottle above the Second Step and/or a last sighting at the Third Step could Mallory and Irvine have reached the summit. Mallory and Irvine had been on the way down when the fatal fall occurred, because they definitely fell from somewhere below the point where their highest trace was found (even if a fall from the ice-axe location is assumed). The fact that Mallory had discarded his oxygen set before the fatal accident indicates he had been on the go for over eight hours (if they had used two cylinders). As he had also removed his goggles, it could hint at an accident in the twilight or dark. Other explanation, like removing the goggles in a snow squall, are also possible. From Mallory's final resting place it appears as if he fell from the lower part of the Yellow Band, in or near the "climbers' gully" leading to the Northeast Ridge. Without discovering Irvine, and knowing the exact location of his resting place, we cannot know whether he died in the same fall as Mallory or later of cold, exhaustion, or injury.